ABSOLUTELY GORGEOUS! Almost like new, beautifully updated to its highest standard. 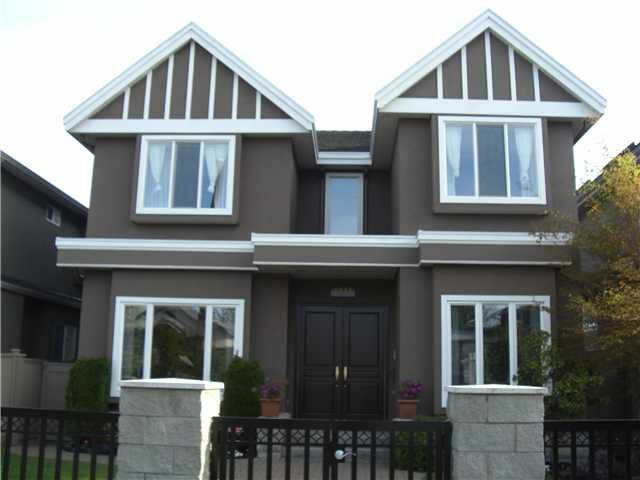 Over 2900 sqft, this home simply offers QUALITY & SUPREME finishing. Features grand foyer & high ceiling, excellent layout, total 6 generous sized bedroomsincluding 1 bdrm on main, 6 baths, ext use of granite & H/W floors thru-out main, entertaining sized gourmet kitchen with high-end maple cabinetry & appliances, wok kitchen, radiant floor heating system, A/C, video-surveillance system, secured fenced yard with PARK-LIKE GARDEN & SOUTHERN EXPOSURE BACKYARD. CLOSE TO PRINCE OF WALES HIGH SCHOOL, TRALFALGAR & CARNARVON ELEMENTARY SCHOOLS, ST. GEORGE'S PRIVATE SCHOOL, UBC, SHOPPING & BUS. MUST SEE! Public Open House Sat. Apr 17 & Sun. Apr 18 2-4pm.